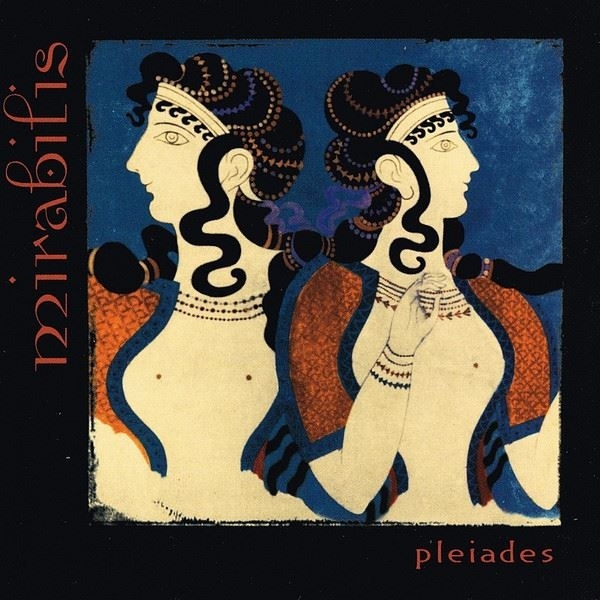 Pleiades opens and closes with a ghostly choir evoking the two sisters on the album cover. In the Dark leads with its tribal rhythm and background chant of In the dark I see clearly. Weep, O Mine Eyes is a beautiful a cappella love song written by John Bennet (16 th century). Haunted is an ethereal wail from beyond the veil. Riu Riu Chiu is a traditional Spanish song that showcases the harmonies of the vocalists as well as many tracks in Latin such as Libera Me and Mysterium (lead vocal Rebecca Colleen Miller). Invocation of the Sun by the poet William Drummond shines with lead vocals by Katy Belle. The Changelings Regeana Morris laments on the ballad Ripple. A more classical interpretation is rendered on Scarborough Fair while sorrowful keys back up the funeral lay of An Epitaph made hopeful by the lead vocal of Dru and Summer.